Figure 1. On echocardiographic examination, a 4-chamber view of the fetal heart shows multiple tumors attached to both sides of the ventricular septum. Figure 2. Angiofibroma (adenoma sebaceum) are prominent on the mother's face. Figure 3. The 4-chamber view of the postnatal transthoracic echocardiographic examination shows multiple echodense masses attached to the interventricular septum and left ventricular free wall. Cardiac rhabdomyoma, while rare at all ages, is the most common primary cardiac tumor of infancy. Although the true incidence of cardiac tumors in the pediatric age group is difficult to ascertain, in 2 hospital series, 0.0017% to 0.003% of pediatric admissions had cardiac tumors.1 Of these tumors, 75% were rhabdomyomas and teratomas in infants younger than 1 year. Cardiac rhabdomyoma is classified as a hamartoma.2 The tumors vary in size from a few millimeters to massive tumors that may cause obstruction. The tumors, which may be multiple or single, are most commonly located on the ventricular septum. Cardiac rhabdomyomas are strongly associated with tuberous sclerosis, especially when multiple tumors are present. In one study, 80% of individuals with cardiac rhabdomyomas had tuberous sclerosis, while 60% of children with tuberous sclerosis were documented to have these tumors.5 If a cardiac rhabdomyoma is found in a fetus or infant with a family history of tuberous sclerosis, it can almost certainly be concluded that the infant may have tuberous sclerosis. If there is no family history of tuberous sclerosis, the presence of a cardiac rhabdomyoma should raise a high suspicion for this disorder. 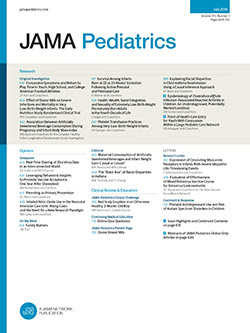 More than 80% of children with tuberous sclerosis who had cardiac rhabdomyomas documented at birth had no clinical manifestations.6 Tumor regression or disappearance occurred in 70% of children by age 4 years, whereas only 17% had regression of the tumors after that age.6 Tuberous sclerosis is inherited as an autosomal dominant disorder with a high rate of sporadic mutation, which accounts for approximately 50% of cases. Two separate genetic mutations may be responsible for the disorder, one on chromosome 9 and the other on chromosome 16. The clinical manifestations of tuberous sclerosis vary widely, and the disorder may not be recognized in mildly affected individuals. Hamartomas occur in a variety of organs in an unpredictable fashion, including the brain, eyes, skin, kidneys, heart, lung, and skeleton, which results in a wide spectrum of signs, symptoms, and complications. Accepted for publication June 13, 2000. Reprints: N. F. Nik Abdul Rashid, MD, Department of Pediatrics, Lincoln Medical and Mental Health Center, 234 E 149th St, Bronx, NY 10451.